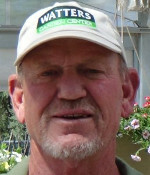 There would be no Watters Garden Center without our founding father, Harold Watters. In 1962, Harold expanded his landscaping company to include a plant nursery, and the business was born where the old bowling alley is now on Plaza Drive in Prescott. The garden center grew with Harold’s family, at one time including a pet store and flower shop. His wife and four daughters all pitched in to help. 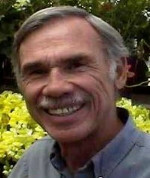 Harold’s love of plants and of beautifying his community was integral in all aspects of his life, including family vacations spent touring gardens and nurseries. By 1983, the garden center—just like the plants– needed room to grow, so Harold moved it to its current location on Iron Springs Road. He decided he might want to retire at some point, and passed the torch in 2002 to his youngest daughter, Lisa Watters Lain, and her husband Ken Lain, now the second family generation to focus on making Prescott green and natural. More than 50 years after its beginning, folks still come to Watters Garden Center and tell us how Harold gave their relative/friend his/her first job in the Prescott community, or how he planted a little sapling in their yard that’s grown into an enormous tree decades later. Harold still pops in from time to time to shop for the best plants in town for his closest friends’ gardens, and to make sure we’re living up to the standards he created. 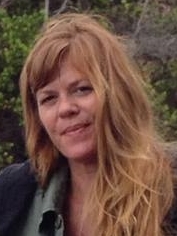 Amy Langley traded palm trees for pine trees when she left her job at the National Tropical Botanical Garden in Hawaii and moved to Prescott. Her love of plants immediately drew her to a position at Watters, and she’s become the fiery force behind merchandising, motivation, and marketing. As our pottery and plant buyer, it’s her vision behind designs, displays, and new looks. In charge of staff development, she’s the cheerleader who believes in her team and pulls them together by kindness, respect, and mind control. The wordsmith that writes a lot of what you see and hear from us, she might even be writing these team profiles right now and trying to rein in her sarcasm. Devoted dog mom, lover of all things outdoors, and sci-fi reader, you can find her driving a forklift at the garden center, laughing over a microbrew with friends, or proudly working on her first home inside and out. Michele Hyatt has been a flower fanatic since she first planted petunias with her Mom. 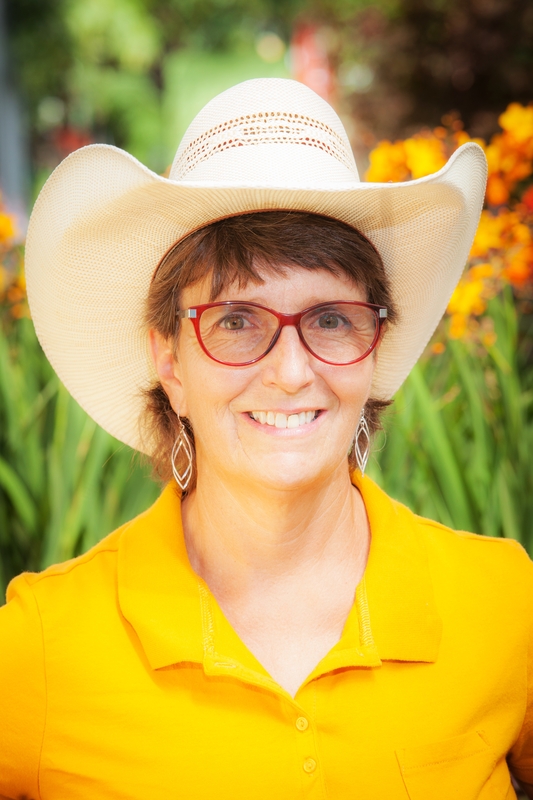 A horticulture heavy-hitter for a decade, Michele is the power behind the color in the garden center, handpicking the best, brightest blooms and vigorous veggies from farms throughout the west. 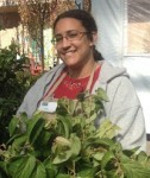 Her nursery experience has given her the knowledge to ID that irritating insect or that fungus among us, and she loves sharing it with her team and customers teaching our garden classes. Animal lover, football fan, tomato techie, and the steady voice of reason, Michele is always the first to volunteer to help, the least afraid of tall ladders, and the last to get near a snake. She is constant in her love for her husband and family, her battle against her home garden predators, and her quest for the best margarita. What would we do without Ella Amos? Ella has been instrumental in heading new and exciting developments at the garden center, including starting the Planting & Delivery department as a one-woman operation, and now leads the charge for finding unique, one-of-a-kind houseplants. 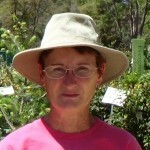 She teaches information-packed garden classes with humor fun and tosses bags of topsoil like bean bags with her super strength. 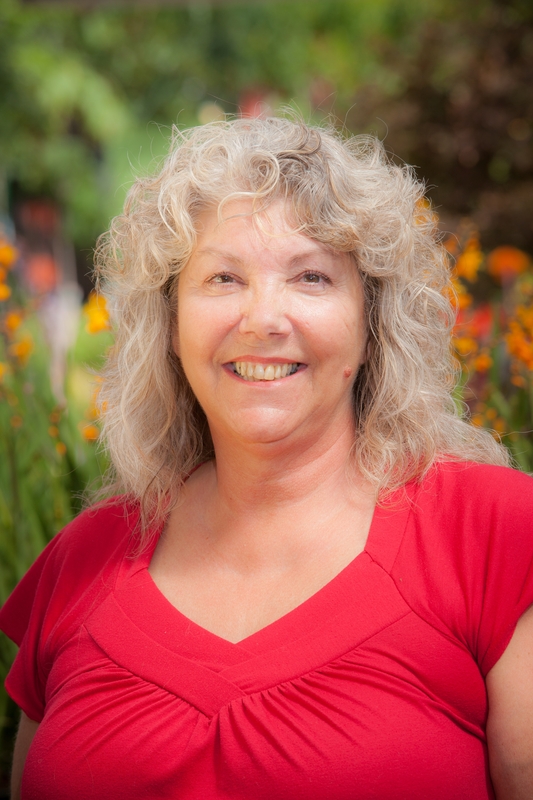 An avid gardener, her deep knowledge and love of local plants endear her to our customers and staff, as well as her easy laugh and ability to find the best socks. An avid container gardener in her former home of Las Vegas, Patti Harlan is thrilled to be living—and gardening– in her new home in Prescott. Her great work at Watters Garden Center carries over to her home garden, where you’ll find everything from cauliflower and chives to peas and pumpkins. Patti and her husband enjoy fishing for trout and hike the Prescott area as often as they can. They love strolling the Square, showing off pictures of their grandchildren, and the kindness of the folks in their new hometown. Patti’s also our resident Monarch Mama, having cared for and released more than a hundred Monarch Butterflies in her home garden this year. After many years in the printing industry, including time as a Watters vendor, Doug Arthur made a career change and joined the Watters team. A Master Gardener and master of the monotone deadpan, he delights in sharing his love of plants and gardening with our customers and staff. Ask him about local trees and shrubs, and how he obliterates the despicable Spittle Bug. Due to a mysterious Pickle Ball injury, Doug is often seen putting Michael Phelps to shame swimming at the Prescott Lakes pool, or traveling with his wife and family. Jared Moore has worn a lot of different hats in his years. These days, he’s sticking with a cowboy hat to shield him from our Arizona sun as Watters’ Planting Foreman. Easy going but meticulous, Jared heads up our planting crew and makes sure our customers’ new landscapes are planted RIGHT. His forklift driving skills are second to none—in reverse, and he excels at finding camouflage objects and creating loud crashing noises. When not at his day job of jackhammer-slinging ninja, Jared can be found at home in Paulden with his wife and their furry and feathered farm friends enjoying the outdoors. As we debate putting his unofficial title of “Most Helpful Person on the Planet” on his business card, Planter William Grace is at Yavapai College working toward a degree in Industrial Agriculture. After years of working in the restaurant industry, Will decided to turn his love of plants into his livelihood. 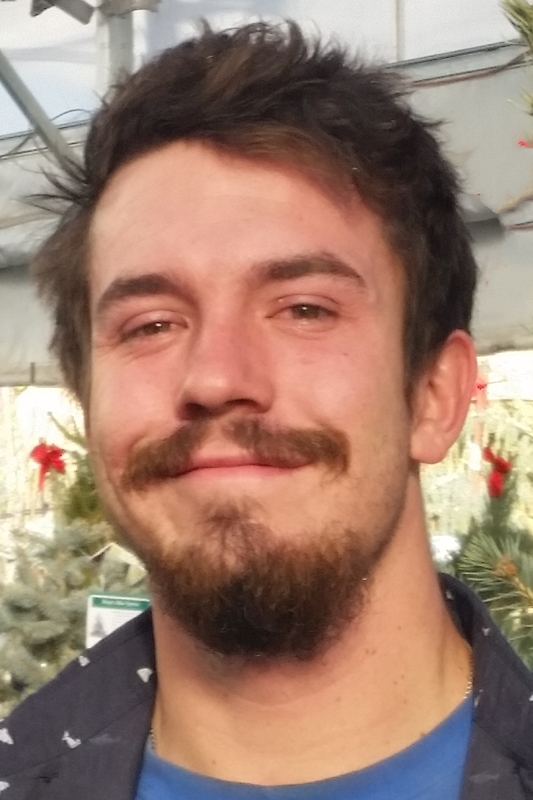 It’s Will that shows up to customers’ homes with a shovel and a smile, planting their new green spaces with a recipe of hard work and dedication. Born and raised in Arizona, Will is happiest spending time outside with his fiance and their dogs, and working on the latest mega-project with his Dad. Watering Wonder and King of Obscure Latin Plant Names, Paul Auer’s lifelong love for plants led to a degree in Forestry and years with the Forest Service and the BLM. How tough can it be to keep thousands of plants from drying out in the brutal Arizona sun? Paul can tell you, as it’s his job to make sure all our beautiful plants are well watered and happily hydrated. The Master of the Moisture Meter, Paul is a fountain of knowledge on local plants and their pasts, and can often be found making a short story long. He’s been a Prescott resident for more than twenty years, a musician for even longer, and loves spending time in our forests with his wife and sons. Our Christy Wilson has gardening literally in her blood, as her grandfather owned a nursery for years in the midwest. She puts her family’s roots work as part of the Watters watering team (a Hydrologist, if you ask her), and believes in talking to the plants as much as the customers. Christy’s quick with a comeback, or a sassy story to savor, like when she was told she was too short to be a flight attendant or shared an elevator with J. Edgar Hoover during her time with the FBI. She’s known as “Mrs. Kravitz” around the garden center for her uncanny ability to know everyone’s business. Fearless and fun, she can be content in her vegetable garden or cooking rattlesnake and is in heaven surrounded by her family, both human and canine. As our tiniest team member, Patty Tolbert puts up with a lot of sass from her coworkers but takes it all in stride with an eye-roll and a smile. Part of the Watters watering team, she’s at the garden center with the rising sun making sure our green friends stay healthy and hydrated. 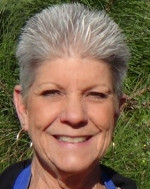 A resident of Prescott for 40 years, 15 spent as an educator, Patty adores plants and dogs and divides her time between her Prescott mountain cabin and visiting her son in Globe. Tommy Shultz started his adventure at Watters being happily retired from a lifetime in the construction business. Unfortunately for Tommy, the team at quickly realized he was capable of fixing everything we break, and making the garden center glorious with his incredible wood working talents. His beautiful creations grace all parts of the facility, from custom recycled wood endcaps to our complete store remodel. Tommy loves volunteering in the Prescott community, his friends, his family, and his two not-spoiled-at-all chihuahuas. An artist with a chainsaw and force of nature with a nail gun, it’s easy to find him by his constant whistling. Unfortunately for the team, he only knows about five songs. 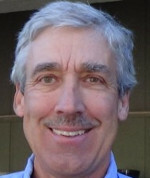 Ken owned his own software company in New Hampshire and moved to Prescott with the intention of blissful retirement. Lucky for us, Ken decided he wasn’t quite ready to retire and joined the Watters Marketing team. A wizard with a camera and various temperamental electronics, he can be found at the garden center videotaping the ‘Saturday Morning Garden Classes‘ and guiding our Social Media presence, while rocking a nautical-themed sweater and a New England accent. Ken and his wife are proficient in the art of trading one-liners, and in discovering the latest, greatest northern Arizona wines. The wizard behind the back office curtain, Doreen Storz is our books balancer, number cruncher, and accountant extraordinaire. She’s able to leap mountains of paperwork in a single bound and the only Watters team member that can handle a full day at a desk. As crafty as she is with an adding machine, Doreen also wields a mean glue gun while crafting and making jewelry. A camping connoisseur, her RV is regularly spotted headed into the sunset with her two rescue Maltese in the copilot seat. Lisa Watters Lain is the absolute heart of our operation, working in her family-owned garden center since she was old enough to hold a hose. She’s the engine that CAN, and powers the machine started by her parents more than 50 years ago. 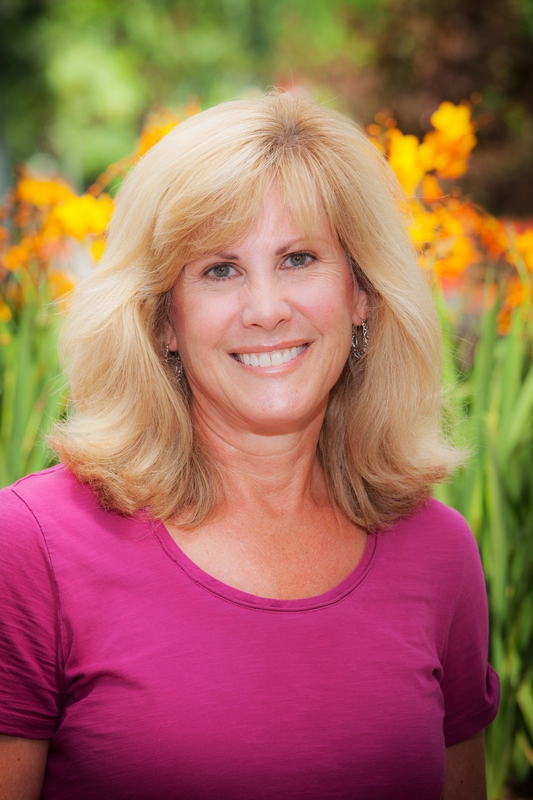 Lisa’s Master’s Degree in Education, Arizona Nursery Professional certificate, and a lifetime of nursery experience have created a superhero plant professional, who identifies local plants and what’s ailing them faster than a speeding bullet. 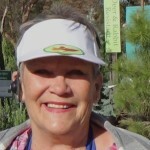 You can read her garden advice columns in ‘Prescott Woman Magazine‘ and ‘ Prescott Living Magazine‘ and hear her on the Mountain Gardener Radio Show and ‘PodCast‘ with husband Ken every weekend. She balances her roles as Owner, General Manager, wife, mother, dog lover, and fierce community supporter using her superpowers of compassion, sarcasm, and a heavy dose of Star Trek knowledge. 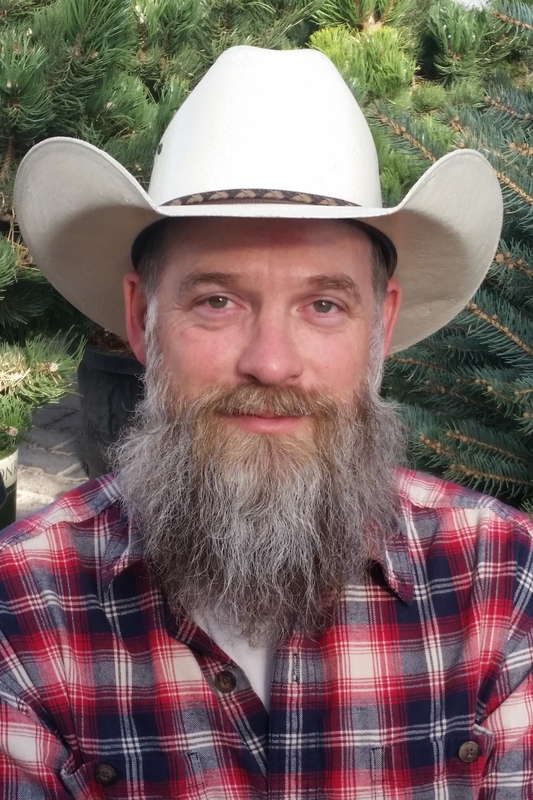 Known by his friends as ‘The Mountain Gardener,’ Watters’ Owner Ken Lain has gardened and farmed in the region for 30 years and knows the best techniques for gardening in the high mountain climates. 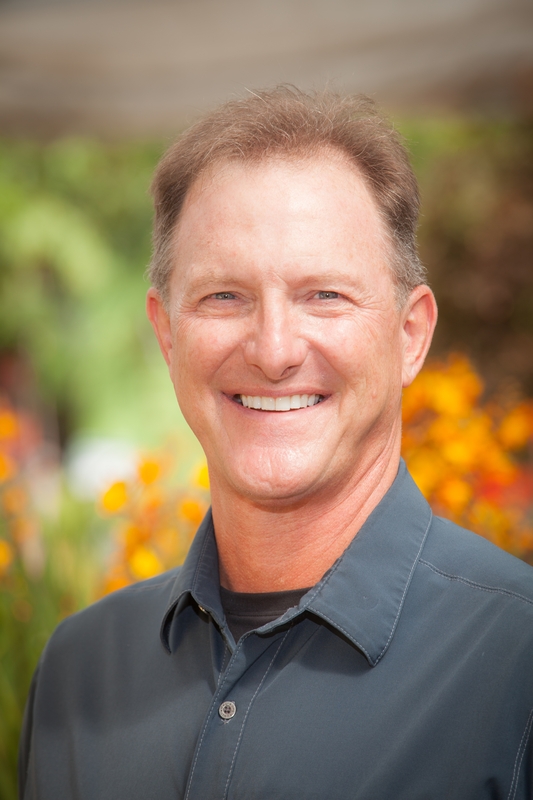 A local who graduated from Prescott High School, Yavapai College, and ASU, Ken is passionate about plants, landscape design, and spreading the good news that gardening can be easy and fun. 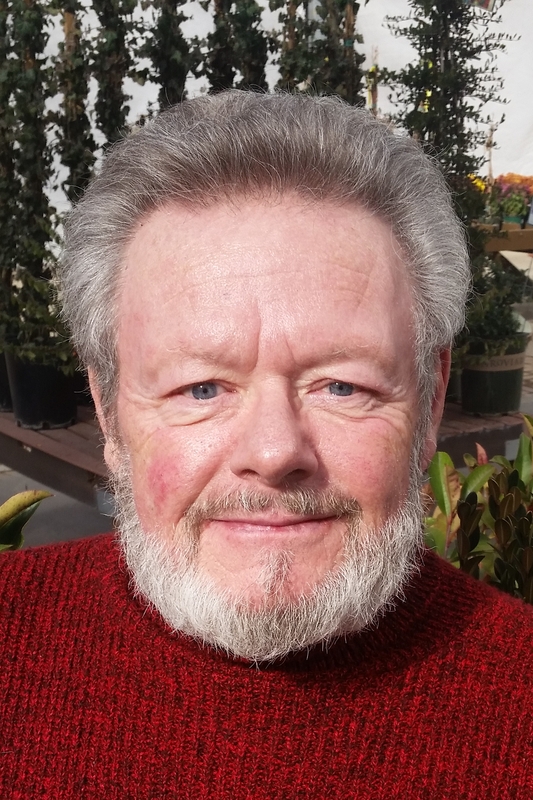 A Master Gardener and Certified Nursery Professional, you can read his local garden advice published weekly in ‘PrescotteNews‘ and the Prescott Daily Courier, or hear Ken and wife Lisa on their Mountain Gardener Radio Show and ‘PodCast‘ every weekend. As the David of the family-owned nursery versus the Goliaths of the Big Box Stores, Ken believes in family, community, and giving more than you receive. The outdoors are his livelihood and playground, and Ken and his family spend as much time as they can in our mountains and lakes while working to make their family business succeed.